Perfect in the fairy garden! 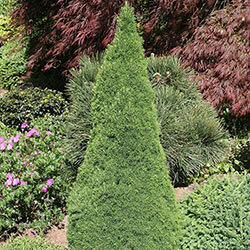 This dwarf Alberta spruce grows slowly to create a narrow, upright, conical shape. That not only makes it a lovely accent, but an easily manageable one—you don't have to worry about pruning and it won't get too big. 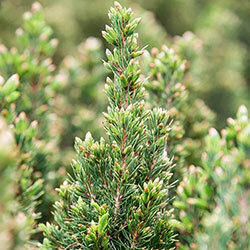 It's very dense with short little needles. A beautiful accent to rock gardens, containers and smaller spaces.